How big is the insolvency problem of the Social Security program? Squint, it’s tiny. Social Security benefits have been blamed for contributing to the national deficit, but, in reality, the benefits are fully funded by employees’ and employers’ payroll contributions. This insurance program has not and does not impact the national deficit; it is a trust fund, in a separate account, with its own dedicated funding. In fact, the Social Security program, until last year, had been taking in more money than it had paid out – it was running a surplus. Yes, a surplus. Our government stewards, our politicians, have ‘borrowed’ the surplus to help fund or offset deficits in the federal budget. If the government were to pay back what it has borrowed from the Social Security trust fund, the SSI program would be solvent for the next 26 years! After that, it could still continue to provide benefits at just under 80% of the current benefit levels, with no other changes. Some people, mostly on the right of the political spectrum, like to say that Social Security is a Ponzi or Pyramid scheme – people paying into the pyramid now are financing the benefits to older people who got into the ‘scheme‘ earlier in time. Well, it’s sort of like that by design. The fact is that most insurance programs, I can’t think of any that don’t, use the insurance premiums of those members who pay now to finance the insurance needs of members who meet the criteria for benefits. I’m okay with that. What I am not okay with, is gambling with the future of Social Security, either by taking its surplus to supplant shortfalls in the federal budget or to create some kind of speculative privatization ‘scheme’ that will benefit Wall Street and leave taxpayers holding the bag when the market collapses or abuses are discovered, as happened in 2008. Still, there are those politicians who want to privatize Social Security because they and their friends stand to make a great deal of money on Wall Street. They clearly learned nothing from standing on the economic abyss of 2008. Or perhaps bailing out folks on Wall Street taught them the wrong lesson. Most recently, however, the solutions that the politicians have thrown at us – like a bucket of cold water – revolve around two basic tenets: that people should work longer before becoming eligible for Social Security benefits and that they should receive lower benefits. Well, if you are wealthy and will not need to depend on Social Security benefits to pay for your food, medicine, house and heat, that works great. But most seniors depend almost entirely on those benefits to survive, often having to make choices between food and medicine. According to new 2011 Census Bureau statistics, 16.1% of people over age 65 live in poverty – even with Social Security benefits. In other words, 1-in-6 of our seniors don’t have enough to eat, can’t afford the dozens of medicines they have to take, can’t afford heat in the winter, and/or can’t afford a roof over their head. As for the argument that we should increase the age at which we can collect Social Security benefits because we are living longer, that is not true for all Americans. In 2000, the highest socio-economic group in America lived 4.5 years longer than the rest of us, jumping from 2.8 years longer in 1980, according to the Congressional Budget Office. There is clear statistical data that shows that the wealthier you are, the healthier you are, and the longer you will live. But, for most seniors, their declining health, worsening disabilities, and deteriorating bodies make it difficult to continue to work into their later years. (They don’t all sit in a corporate boardroom, after all.) And for those who would like and could continue to work, well, they often find themselves gently nudged out of their jobs in favor of younger tech-savvy people who will do it for less and come with new, fresh ideas. However, something does need to happen for the Silent Generation’s national old-age insurance system, Social Security, to not only support the retiring Baby-Boomers, but for it to be fully funded for Generation X, Y and beyond. Get rid of federal government pensions for elected politicians – they will get Social Security benefits. Means testing, bottom 95%, to be eligible for Social Security benefits. Everyone pays the FICA tax rate on 100% of their income. My solution is three-fold. First, all politicians – but especially the guys in Washington D.C. – will no longer get government pensions, they will get Social Security benefits. Corporations have been eliminating pension programs for hard-working Americans for decades while the courts and the government have supported those efforts. Likewise, I am sure they will support the American taxpayers’ right, as the politicians’ employers, to get rid of the cushy pensions for politicians we no longer can afford. And, who knows, by sharing the possibility that they will have to depend on Social Security benefits one day, perhaps they will be more sensitive to managing and protecting the Social Security trust fund for seniors. Second, if you are a senior and are fortunate enough to be in the top 5% of wealthy people in the United States, then perhaps you would not mind giving up that measly monthly check, that at best, for you, is the cost of a nice dinner at a fancy restaurant with your family. So, if you don’t need it, don’t take it. After all, Social Security is meant to be a safety net, an insurance, for seniors who will not have the means to pay for food, medicine and housing. Let’s leave the money for those who find themselves in tough times in their later years. You can live with that, right? However, to ‘fix‘ Social Security ‘permanently,’ you don’t need to implement any of my solutions, in fact, according to Robert Reich, former Social Security Trustee, former Labor Secretary, current University of California Professor of Public Policy, and Author, (who knows so much more about this than I ever will) all you need to do is to raise the income cap to $180,000 – in other words, apply the FICA tax to the first $180,000 of income. That’s it. Easy. Done. But why is income capped at all? Well the explanation is that since the benefits are capped, the FICA tax paid should be too. However, people who are wealthy or well-off don’t care about the cap in benefits, because they know they will never have to worry about not having enough money to pay for food, or housing, or heating, or medicine. But they do care about capping the taxes they pay. Here is the inequity: where as most Americans who make less than $106,800.01 are paying a FICA tax on 100% of their income, the richer you are the smaller the percentage of your income that is taxed for Social Security. So, if you make one million dollars a year, you would only be paying a FICA tax that is equal to less than half of 1%, or 0.4% of your income. If you make two million dollars, well then your FICA tax is only 0.2% of your annual income. Let’s say you make $200 million a year – not including all the benefits and bonuses and perks and countless other ways employers manage to hide how much their wealthier executives are really compensated for their brilliant service, and on which they don’t pay taxes because there are enough loopholes in the tax code to help them pay less in taxes than their secretaries, as Warren Buffet once pointed out – but I digress… let’s say you make $200 million a year, then your FICA tax is only .002% of your annual income. Tiny. There are plenty of economic studies that document how there has been a marked shift in wealth and income to a smaller percentage of the population in the last ten years. But that small percentage of Americans is powerful and wealthy, they buy influence and favors from politicians, be they on the right or the left. To balance the budget, to reduce the national deficit, to ‘fix’ social security the politicians look to the ever-poorer and powerless middle-class, because to ask the top 0.5% of the population to give up their Bush tax cuts, which have neither created jobs nor spurred on the economy in the last ten years, or to ask them to make any sacrifices might result in reduced campaign contributions and financial rewards. We cannot sit and watch our politicians on the evening news, from the left and the right, continue to pick on, threaten and terrorize seniors, teachers, cops, firefighters, students, stressed homeowners, genuinely ‘small’ business owners, unemployed workers, and the middle-class in general. Politicians seem so willing to take advantage of people who have neither power or money to influence them, and force them to bear the burden of an economy that is not of their making, bailing out those who are responsible. Now is the time to galvanize, just as so many other middle-class Americans are doing in Wisconsin, in Michigan, in Iowa, in Ohio, in Pennsylvania, and across America. 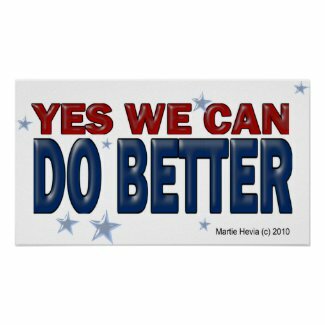 Election 2012 is just around the corner and we’ve got the numbers… we have the vote… we can change this! Let’s roll.